Stress and Anxiety Relief. Insomnia Cure. Stress and Anxiety Relief Supplements. Insomnia cure. Stress is an unpleasant presence in our lives, and in these frenetic times, many people has to deal with this issue. Even people with a stable mind are affected by the constant noise, polution, news, and the competitive lifestyle in which we are all immersed. Some stress level is necessary to keep our daily routine, but a prolonged stress has adverse consequences in the body, and can badly affect our organs and nervous system. Stress in some cases may be the cause of diseases, obesity, insomnia, depression, and more. Stress can be for many people a destructive force, and we should remember that many factors out of our control can create anxiety on us. "Attitude" is a word that we can read and hear every day, but essentially the cause of stress is linked with this concept. Let us talk about some tips to deal with stress. Identify what are the sources of your daily stress. Try to recognize those issues that you can rework, and accept the facts that you cannot adjust, like traffic, toxic people at work etc. The stressful events will end in a normal life, and if you cool down your feelings you can keep your mental energy focused in the important things. Make of the relaxation techniques a daily habit. We can build a relaxation response to deal with the stress and toxic people. Meditation, fitness, yoga, jogging, reiki, are only some of the popular techniques that you can introduce into your life, and since you cannot be stressed and relaxed at the same time, if you focus your attention in positive routines your mind will choice the natural response against stress and anxiety. Instead to react in the same stressful manner, you could embrace a positive attitude and be relaxed as a rule. Herbal supplements manufactured with natural ingredients may reduce anxiety and stop the arouse of negative emotions. 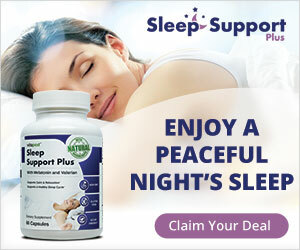 A sound sleeping night is a must for your health, and If you are not having the adequate hours of sleep, you cannot be in good shape during the day. Caffeine, alcohol, night work, and unrealistic expectations and goals are all factors to cause insomnia and chronic stress.